I found a VHSrip of this eighties documentary movie and was pleasantly surprised. I know have the pleasure to review this hybrid film and i have to say, it is the most original idea i have seen in a while. Only carrying a short runtime of 23 minutes, this film starts off as an interesting look at arcade machines and pinball machines. When the film starts is says "SILVERball Heroes VS. Video Invaders in ARCADE ATTACK". We see shots of a huge arcade center in a busy city and we are then led inside where we have the british narrator explaining the importance of pinball machines. He is explaining about the companies that produce them and going through their specific features and what makes the game fun. We then have someone talking about the importance of arcade games especially Defender. He even goes as far as to say "You need to become the ship." while spouting philosophies claiming you aren't playing a game, you are exercising human nature. 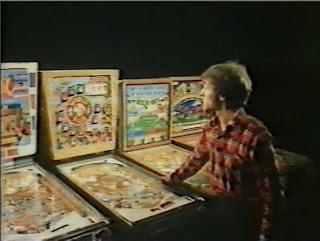 We then see a neu-wave punk playing his favorite pinball machine. He loves it so much he even has a tattoo of it spanning his entire back. Then the camera focuses on someones love for Space Invaders, claiming everything else in inferior. While the narrator is explaining the color characters on the pinball machines, you start to notice animations. What happens next is where it steps up a notch. The Space Invaders climb out of his TV screen "Ringu" style and begin to launch a full scale attack on Pinball and Pinball fans, annihilating the punk and leaving nothing but his shoes on fire. We then see the various pinball machines break open to see their respected characters forming a defense against the invaders. Heroes fall, Evil prevails. When attack wave three comes around, the city is in ruins and few stand. With documentary style editing, its hard to see what this film is aiming for. When you pull it back and take a look, it seems Pinball lovers are crying out. This was around the time when arcades destroyed all pinball games in competition. Its a video commentary when watched in this generation, you really start to miss the good days where it wasn't about graphics or killing the most creatures. Each side is fighting for their own preference and have their own ideological views and explain their side. I need to go play a pinball game now. 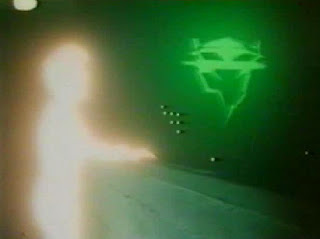 I remember one called "laser ball" the design on it was one of the most super-cool images i`ve ever seen.